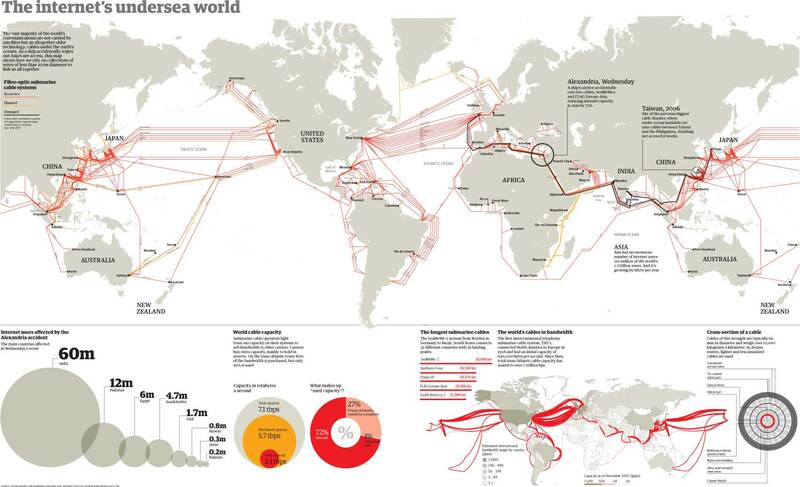 I thought this was cool, it's a view of how the internet is connected across oceans. Just one question tho.... Alaska? really? Don't they have like 5 people on the internet up there?